Did you ever get frustrated at not being able to see someone’s hidden friends on facebook.Well,worry no more for the solution is right here. 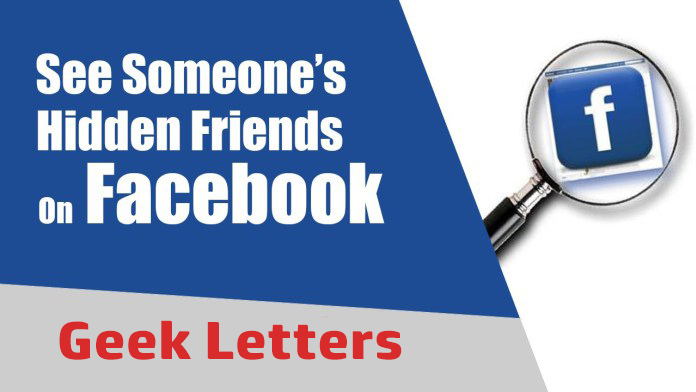 It happens often that we visit a person’s profile on facebook to get a peek of his friends profile but we are unable to do it since the person has hidden his friends.This ‘hide friends’ feature of facebook allows only to display mutual friends in their list. But fortunately there’s a way to counter this feature of facebook which can help reveal the friends which have been hidden.Just follow the below mentioned steps and you are good to go. Steps to reveal someone’s hidden friends on facebook. 1.The first step is to download and install latest version of google chrome browser in your computer. 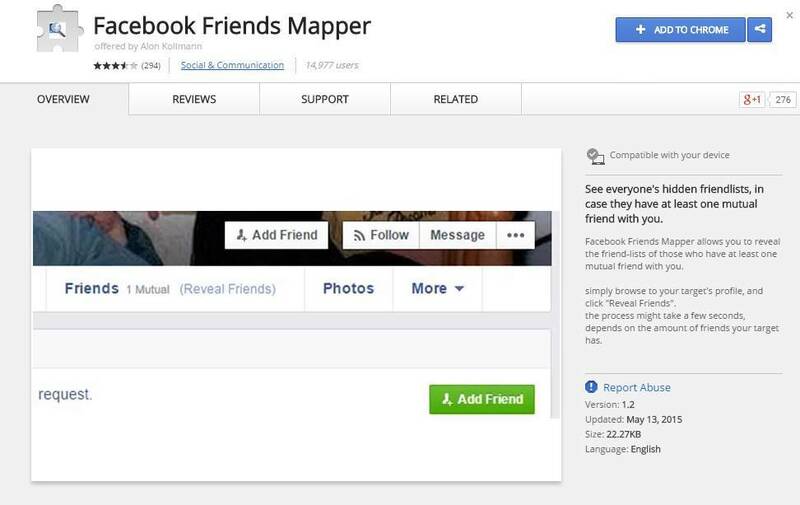 2.Next,install the extension facebook friend’s mapper from here. 3.The extension gets added to your google chrome browser. 4.Next,login to your facebook profile and open the profile of the person whose hidden friends you want to see. 5.Next,click on the friends column in that person’s profile. 6.You will see a reveal friends section there which will only happen if you have added the above extension. 7.It will start scanning the friends and displays all the hidden friends of that person. So,that was all about how you can see the hidden friends of a person.Hope you like it and if you do,please share this post and leave your comment below if you need any help.